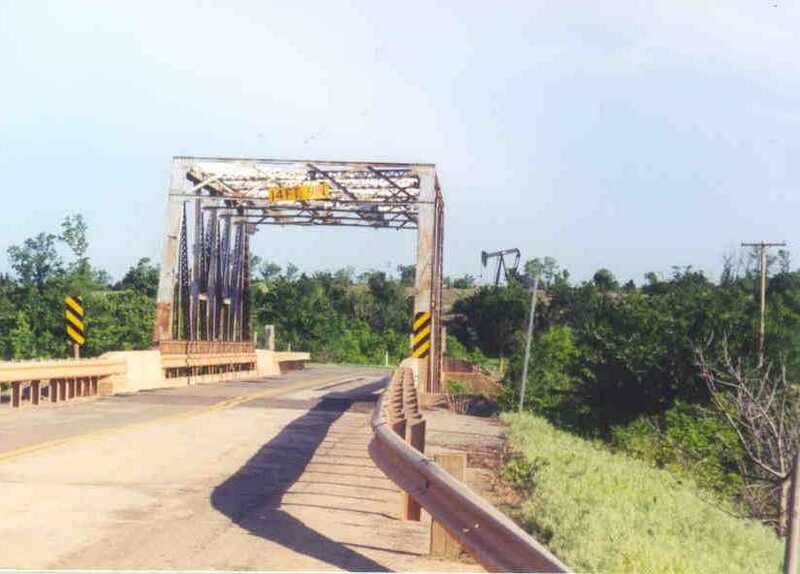 Pictured upon this page is the US 77 bridge across Beaver Creek. 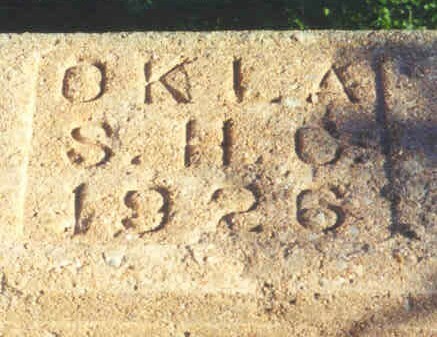 The bridge is of standard OSHC design and was constructed in 1926. 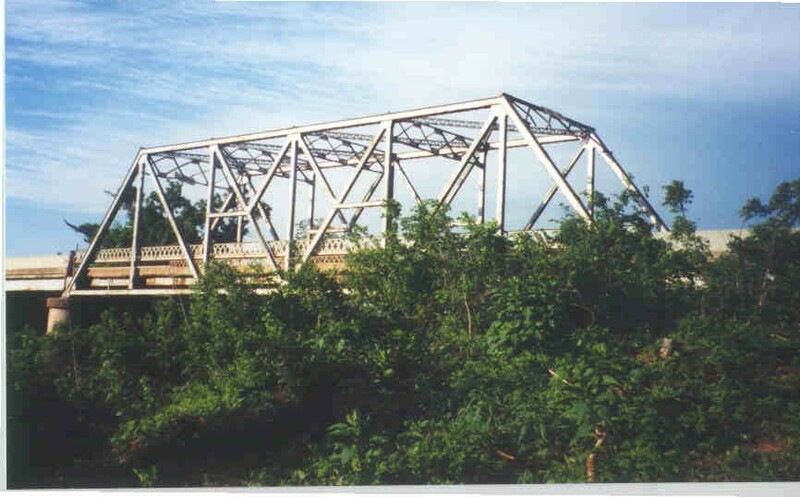 The main modified Pratt span is 120 feet in length with a 40' steel beam span at each end. The bridge would have had curved portal braces, but these have, of course, disappeared. You can also see, by the one photo, that some pretty big trucks have come through here, taking the whole lower sway strut from the portal at the far end of the bridge in the photo at the top left. And to help ensure you that we are still in Oklahoma, I have included a oil well pump in one of the photos. 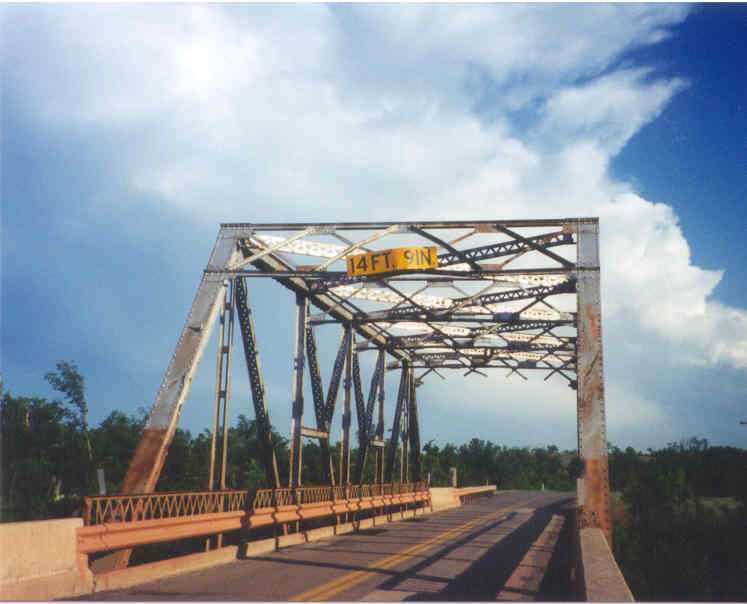 This Bridge is located 1 mile south of Mulhull.